INDUSTRY.co.id - PT Bank Tabungan Negara (BTN) JAKARTA (IFT) - PT Bank Tabungan Negara (BTN) Tbk (Persero) recorded a fee-based income growth from digital banking services at the end of December 2017, up 26.8 percent on an annual basis or Rp102.4 billion from Rp80.7 billion. President Commissioner BTN Maryono in an electronic message in Jakarta on Tuesday said the commission-based income was contributed by the increase in mobile banking and internet banking transactions which grew 59.2 percent (year on year / yoy) and 108.4 percent (yoy) as of December 2017. "BTN's digital banking business continues to grow, with a surge in transaction value growth through its sms network or mobile banking and internet banking," said Maryono. To develop the digital banking this year, BTN competition "BTN Mortgtech Hackathon". The competition is in search of energy in developing digital applications in finance, including home mortgages. "Through this competition is expected to be born applications that support the development of mortgage loans (KPR) in Indonesia," said Maryono. Maryono said BTN Mortgtech Hackathon was the first technology competition for housing finance in Indonesia. To join this competition, candidates can register through btnhackathon.id channel. Registration opens from February 15, 2018 to March 17, 2018. There are two main events in this competition namely "Meet up Roadshow" and "hackathon". "Meet up Roadshow" will be held in three cities, Jakarta on February 27, 2018, Malang on March 6, 2018, and Yogyakarta on March 8, 2018. 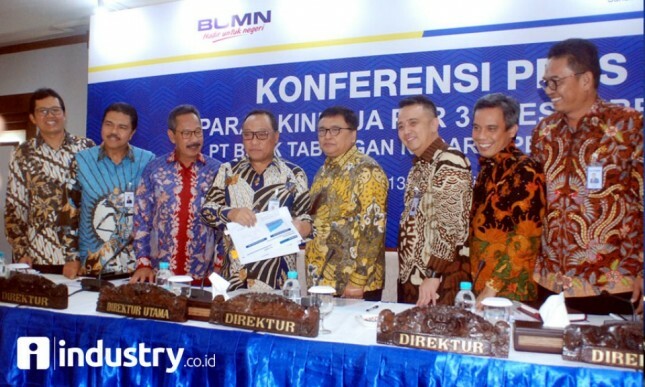 In the event, a live meeting with local housing developers in Indonesia will take place.